Choppy markets and nervous clients hit the Swiss private bank’s margin in October, putting a key target at risk. The group’s push into the more volatile Asian market didn’t help. The weak update flashes a red light to rival wealth managers, like Credit Suisse. 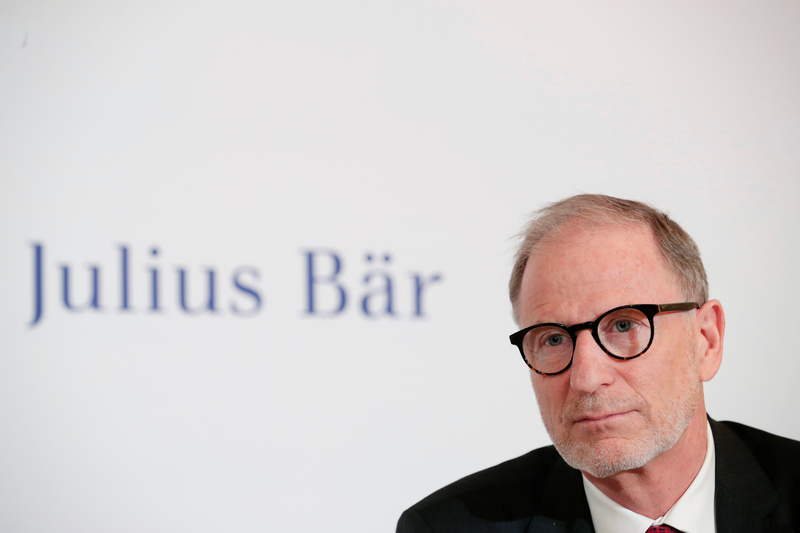 Chief Executive Bernhard Hodler of Swiss private bank Julius Baer addresses a news conference to present the bank's full-year results in Zurich, Switzerland January 31, 2018. Swiss wealth manager Julius Baer said on Nov. 20 it may not be able to achieve its cost-income target this year citing lower client activity and adverse market conditions. Switzerland’s third-largest listed bank said its gross margin had dropped to 0.87 percent in the 10 months to the end of October, down from 0.91 percent in the first half of 2018. Its cost-income ratio was of 69 percent, above a target for 2018 of 64 to 68 percent. Julius Baer shares were down around 6 percent to 40.84 as of 0900 GMT on Nov. 20.